Megaworld, the country’s largest developer of integrated urban townships, saw its net income grow by 17% to P15.8-billion in 2018 from P13.6-billion (excluding P113-million non-recurring gain) the previous year. Net income attributable to parent company ended at P15.2-billion by end-December 2018, a 17% jump from P13.0-billion in 2017 (excluding P113-million non-recurring gain). Consolidated revenues grew about 15% to P57.4-billion in 2018 from the previous year’s P50-billion (excluding P113-million non-recurring gain). The company’s rental businesses, comprising of office and lifestyle mall leasing, strongly contributed to the topline, soaring 21% to P14.3-billion in 2018 from the previous year’s P11.8-billion. This contributed 25% of the total consolidated revenues during the year. In 2018 alone, Megaworld has already achieved over 70% of its rental income target of P20-billion by end of next year. 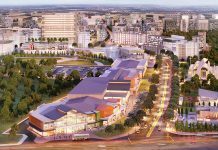 Last year, Megaworld opened its biggest mall development outside of Metro Manila, the Festive Walk Mall in Iloilo Business Park, offering around 90,000 square meters in gross floor area. It also opened two new community malls – the San Lorenzo Place in Makati City, and The Village Alabang in Las Piñas City. Also last year, the company closed a historic deal in Philippine real estate when it bagged the long-term lease contract to build the 25-storey Philippine Global Service Center of JPMorgan Chase Bank, N.A. It was regarded as the country’s biggest single lease transaction to date, with around 70,000 square meters of ‘build-to-suit’ office spaces for a single company alone. 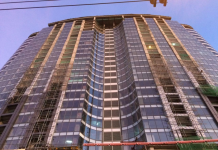 “We have already secured multiple pre-lease deals for our office buildings as well that are in the pipeline until next year. Same goes to our mall and commercial spaces that are set to open in our various townships. For our residential properties, we continue to see strong take-up especially in our mature townships, and there is already a consistently growing interest in our newly-launched townships,” says Kevin L. Tan, chief strategy officer, Megaworld. 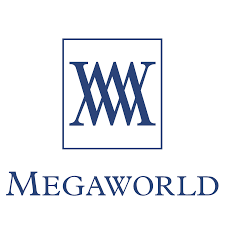 Megaworld’s residential business, on the other hand, saw a double-digit growth of 11.5% in 2018 to P38.0-billion from P34.1-billion during the same period the previous year. This contributed to 66% of the total consolidated revenues during the year. The Megaworld Group launched 25 residential projects in 2018, with a total sales value of around P106-billion. The company also achieved P135-billion worth of sales reservation during the year. Megaworld’s hotel business, likewise, grew its revenues by about 14% to P1.5-billion compared to P1.3-billion in 2017. The company launched two new hotels last year: the 684-room Savoy Hotel Manila in Newport City, and the 126-room Twin Lakes Hotel in Twin Lakes, Laurel, Batangas. This brought the number of Megaworld Hotels to seven (7) by end-2018. “We have gained the fruits of our expansion in the regions as we saw continuing growth in the demand for residential units as well as office and commercial spaces in our various townships across the country. Perhaps, as we build these townships, people saw the advantage of living where they work, and living where everything is just within reach. This model makes every aspect of our business viable and expandable, and we continue to spot for opportunities where we can further grow and innovate our offerings,” explains Tan. Just several weeks ago, together with its subsidiary Empire East Land Holdings, Inc., Megaworld introduced its 24th township, the 24-hectare Highland City along F. Felix Avenue in Cainta, Rizal. 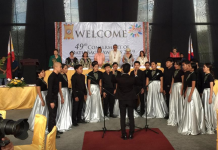 It allocated P20-billion to develop the township within a 10-year period.